Jessica has split from her husband and is working in a part-time capacity due to family responsibilities. Her sole PAYE income is not sufficient to support her and the children, as well as meet living expenses and credit commitments, even when she begins receiving Centrelink assistance and child support. Jessica contacted all creditors to discuss her circumstances and immediately applied for Hardship Relief. On this occasion hardship was not granted, as the lenders assessed that she still had an income and therefore did not meet their hardship criteria. She was expected to continue repayments as well as make a catch-up arrangement for any payments missed. Understandably, Jessica was unable to maintain all of her debts and some time later was notified that defaults had been listed on her credit file which resulted in Jessica being declined for a Debt Consolidation Loan. Creditors began applying more pressure; phone calls, letters, SMS and emails demanding unrealistic repayments and threatening legal action. Jessica desperately wants to avoid Bankruptcy and any further collections activity, however following the relationship breakdown she is simply unable to make the payments the creditors are demanding and is unsure what she can do. 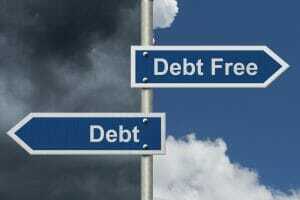 A Debt Agreement is an offer to compromise unmanageable unsecured debts. It enables the individual to avoid Bankruptcy and have one combined repayment. All unsecured debts must be included and Jessica must meet certain eligibility criteria. If her offer is accepted, she would have one manageable repayment based upon what she can afford, rather than what each Creditor is demanding. Jessica would have protection from any further collections, harassment, legal or recovery action in respect of these debts. The interest on the debts is frozen once the Debt Agreement Proposal is accepted for processing. A listing would be placed on Jessica’s credit file which would remain there for 5 years and her details would be recorded on a Government database called the NPII. As her Administrator, Life After Debt®, would receive an administration fee which would be deducted from her contributions to Creditors. As the Debt Agreement is processed by AFSA, they would receive a realisations charge which would be deducted from her contributions to Creditors. Joint debts. NB: A Debt Agreement will only cover Jessica’s liability to the joint loan. Her ex-husband would need to make his own arrangements to discharge his liability to the debt. · Will be debt-free in 5 years once all Debt Agreement contributions have been completed. · Credit file listing will be removed in 5 years or once Debt Agreement is completed, whichever is longer. If you would like to discuss your circumstances, please contact us for a free and confidential initial assessment. ** Please note that this is an example only, not an actual case. ***Minimum payments on credit cards and store cards are estimated using 3% of balance owing.